I read somewhere – and I apologize to whoever said it because I cannot credit you – it’s a shame that so many gardeners keep their gardens locked up in their backyards. How nice it would be if the garden could be in the front yard for everyone and anyone to enjoy as they walk by. That was my thought as Joe and I walked around the neighborhood on this first day of summer, strolling by our neighbors’ homes to get a peek and to be inspired by what was blooming. This is what we found. 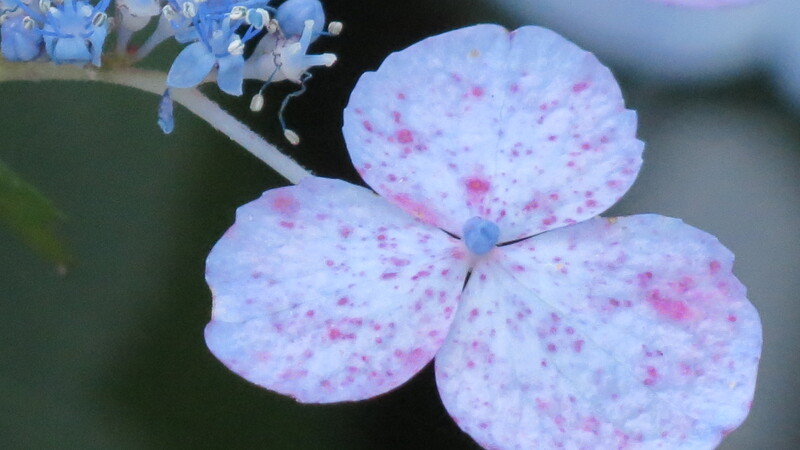 To start the walk, we had to pass our Lace Cap Hydrangea. 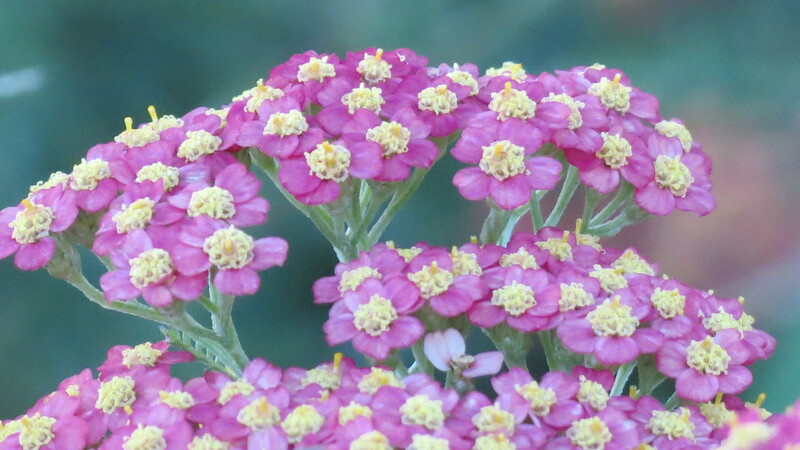 The flowers remind me of speckled Easter eggs. 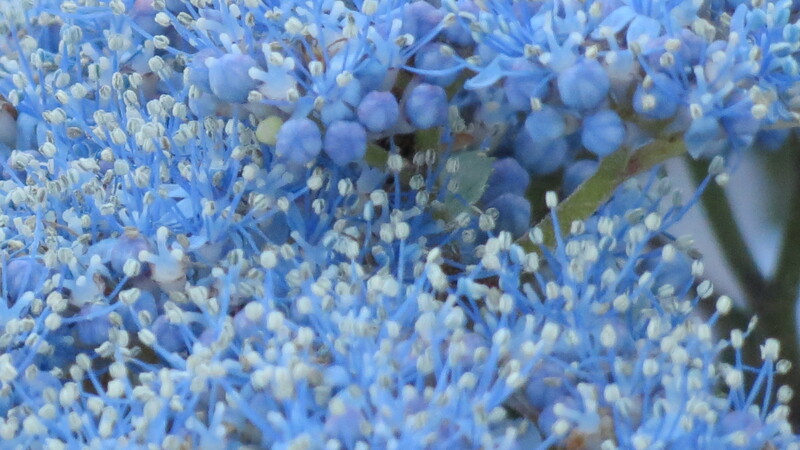 This would be a close-up of the “lace” in the Lace Cap. Across the street, we spotted a small bouquet of Dianthus. Just up the street, another neighbor had Daylilies blooming everywhere. 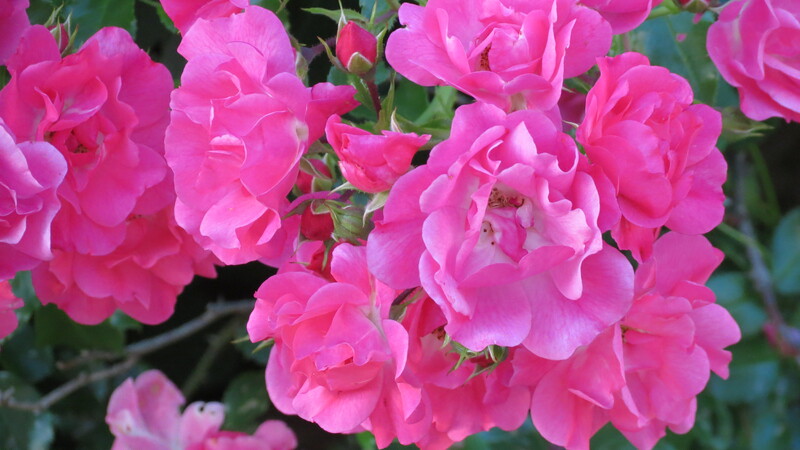 Another neighbor had cluster upon cluster of Roses spilling over a rock retaining wall. 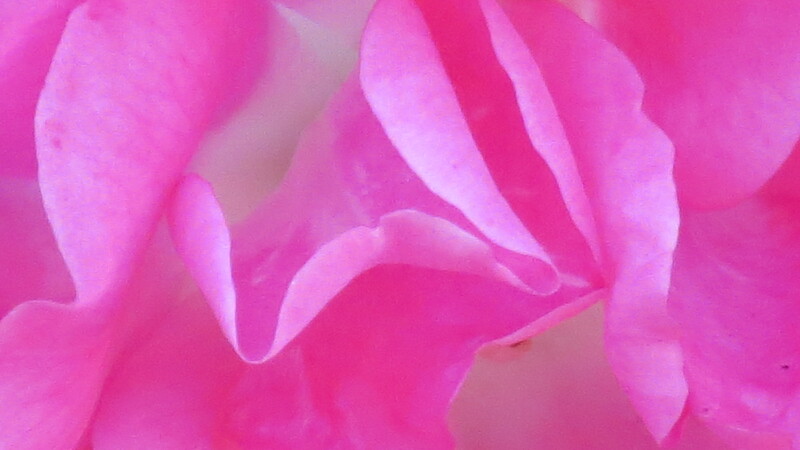 I couldn’t resist a closer look at the ruffled petals. 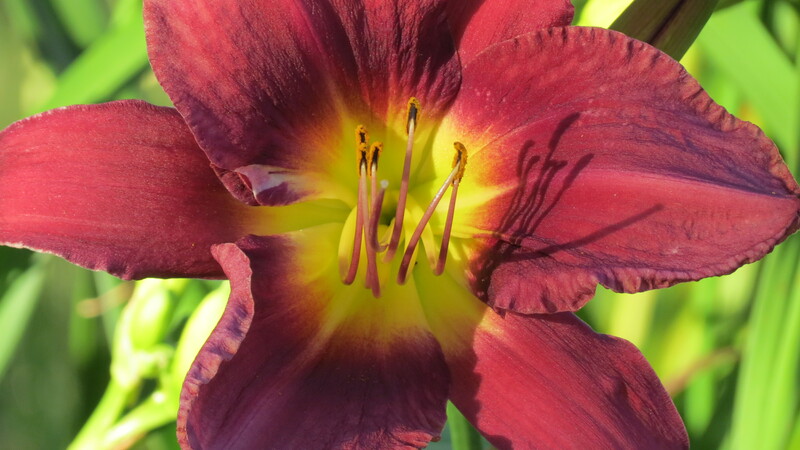 This Daylily seemed to scream, “Look into my eye.” So I did. 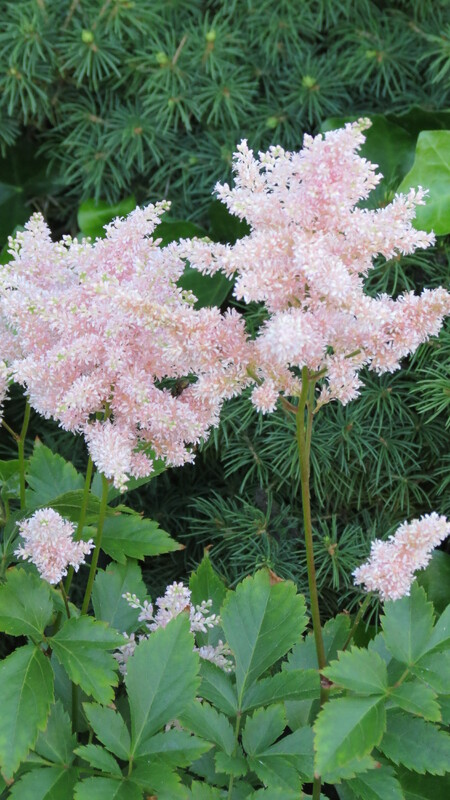 Around the corner, there were beds of Astilbe in full bloom. Up close, the pink clouds reminded me of cotton candy. Around another corner, we discovered a bed of Yarrow growing around a curbside mailbox. 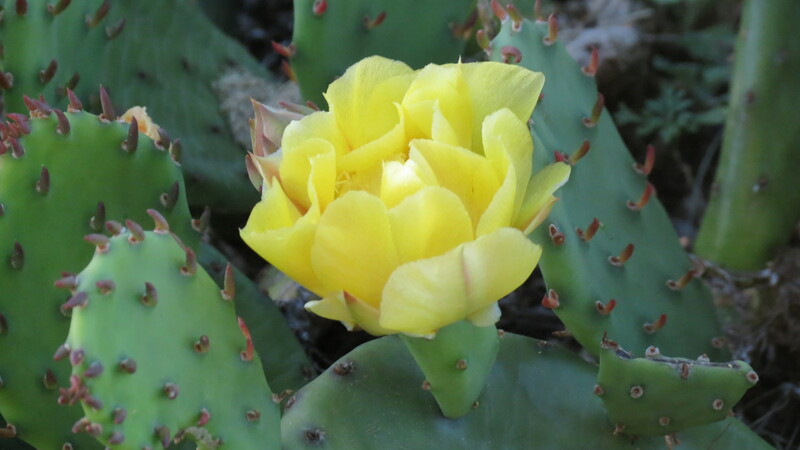 Imagine our surprise when we spotted a bed of Cactus — in flower — a few houses away. The owner, Helen, came running out and offered us a clipping, and then showed us the rest of her front yard garden. We made a promise to return again for a tour of the backyard — a new neighborly friend. 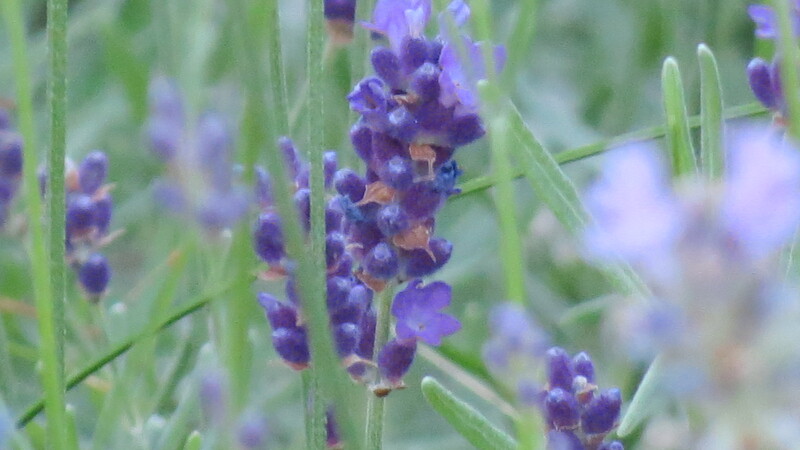 When we returned home, there was time to stop and smell the Lavender. ← Who’s Your Daddy? I Am! I also love checking out the neighbors’ gardens. That’s why the best walking in my neighborhood is through the alleys, where you usually get a good view of the backyards. The heck with fences, Mr. Frost, it’s gardens that do good neighbors make. Hi Cheryl. Thanks for the kind words — and I agree completely with the garden sentiments. Hello Gwennie. SO glad you liked the photos. It is always fun to see what others gardens look like. You spotted some beautiful blooms in your neighborhood. Wonderful shots Kevin. Great photos! I’m all for front yard gardens. Thanks! Front yard gardens definitely make an evening walk so much more interesting. It’s time to share the view. It’s always nice to see what others have in their gardens…maybe get some ideas too. 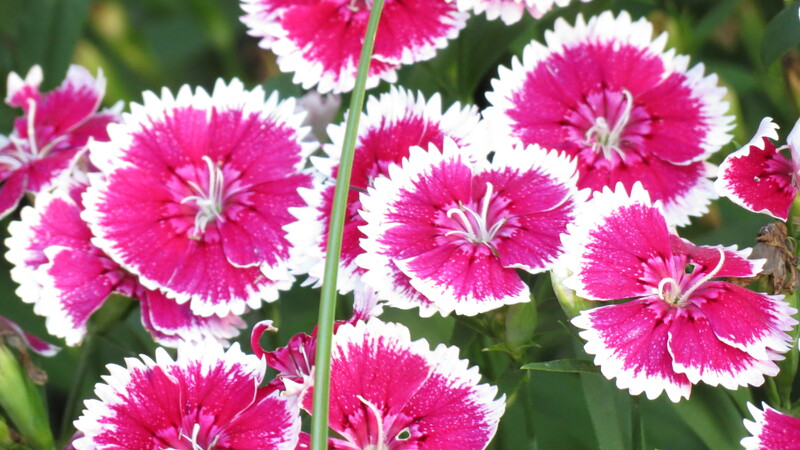 Lovely pics…especially the Dianthus. Great macro shots! And I love the foliage contrast in the astilbe photo, too. How nice to have met another gardening friend! I think I can proudly say…ours is the most beautiful garden in our street. No one round here seems to take the pleasure in their gardens like us….grass & a few uniformly spaced out marigolds is about as exciting as it gets. That is until you stumble across our wee plot. Amen, Jane. Amen. Can you imagine if front yards could all be gardens? It would bring so much joy to people — like living in a botanical wonderland. How true is that. I often think how the best part of my yard is in back, behind a solid vinyl fence, where only we can see it. You’re right, it should be in the front. Love the pictures – thanks for posting! Kevin, It’s an embarrassment to me that most of my garden is behind the house — because I so enjoy my daily walks checking out what others have blooming in their front gardens. Your neighborhood looks like a great one for front garden gawking, and your photos are a delight. 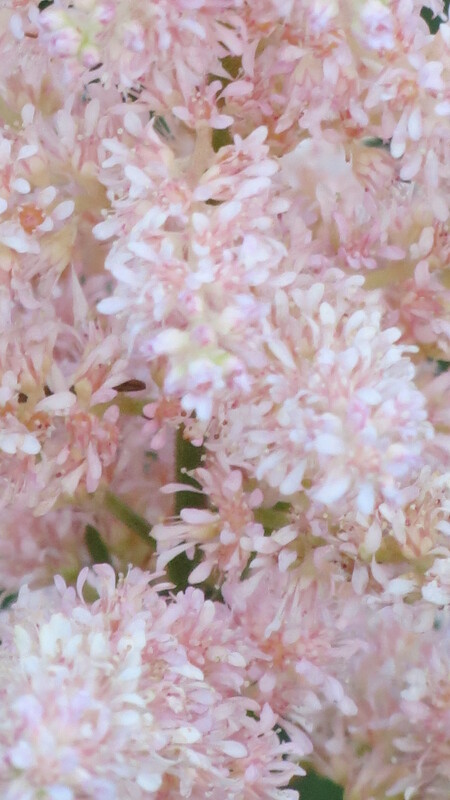 (I’m especially entranced by the macro of the astilbe.) Someday I plan to join the ranks of those with lovely front gardens for others to enjoy. Happy summer! 🙂 I literally thought when I took those photos, “These are for Beth.” Glad you enjoyed them! Helene, I’m really not surprised that people stop to take a look. From the photos you have posted of your back garden, everything looks amazing. You do beautiful work! Glad to know that your neighbors grow attractive colorful blooms in their gardens. I’m sure they also admire your garden everytime they walk by. This is random, but I’m glad you post the names of the flowers you see because it helps me learn them. I’m good at knowing the names of my veggies, but not so good at flowers. Julie, I try to name them — but sometimes (many times), the flowers look familiar, but I can’t remember the name. I do, however, admire people who know the Latin names. That is a skill! Beautiful images, Kevin. 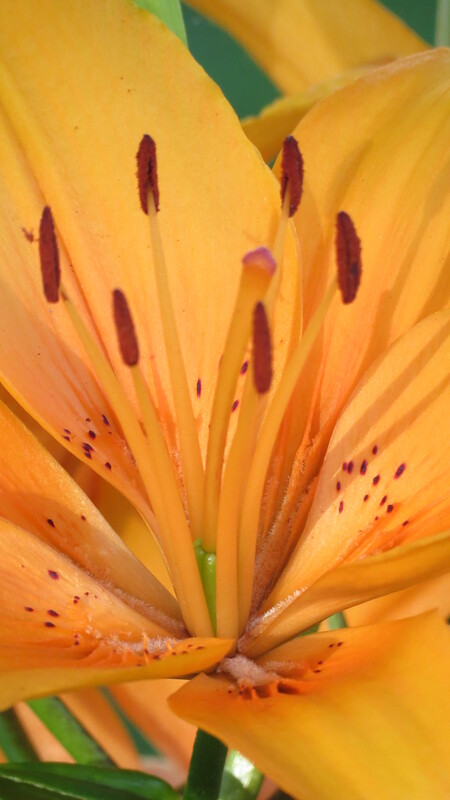 Love that macro Daylily. Thanks! And coming from you, I do appreciate your comments.